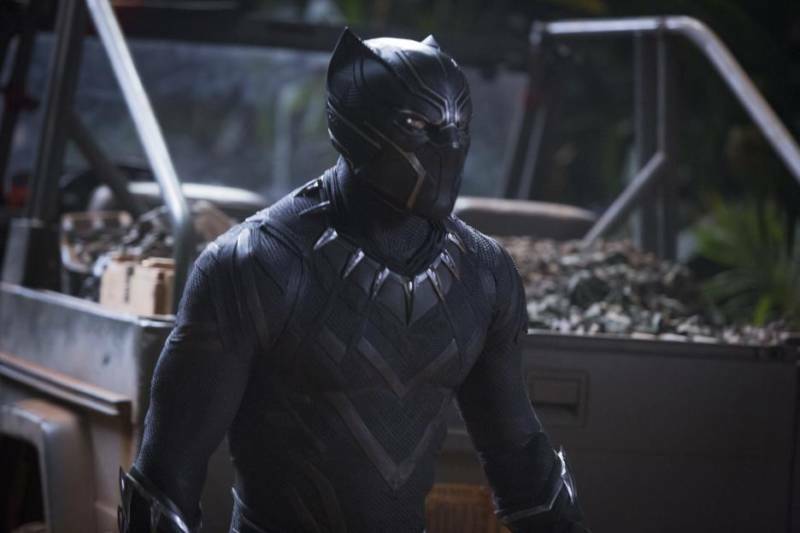 Editor's Note: Directed by Oakland native Ryan Coogler, Marvel's Black Panther represents a landmark moment in African-American cinema: It's likely to join Marvel's top-five highest grossing films of all time, and it's the second most expensive film directed by a black director. 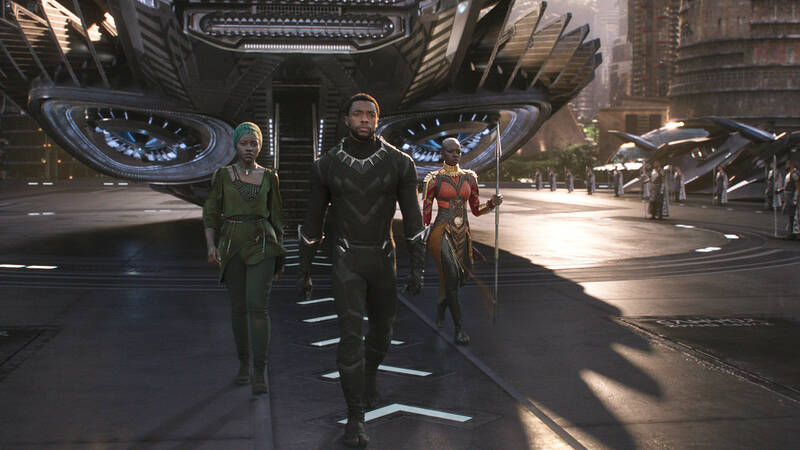 But apart from its impressive projected box office numbers, the film -- with its anti-colonial, Afrofuturist plot line and star-studded, mostly black cast -- is sparking vital conversations among moviegoers of all walks of life. Below, KQED Arts contributor Ruth Gebreyesus and Oakland filmmaker Summer Mason discuss the film's treatment of identity, history, and technology -- and what Black Panther could mean for the future of black cinema. Summer: Let's start by talking about vibranium, the metal referenced in the movie that is only found in Wakanda, which is a magical country in Africa. Then we can discuss this concept of technology as magic, and reclaiming it in a very black, spiritual way. Vibranium in the movie wasn't an actual physical thing. It was something that every black person in Wakanda has access to, and I think it’s this idea of vibration. And this idea of all being in the same rhythm. Ruth: And because everyone in Wakanda has access to it, it feels like this power that is inherent. It's this power of the community. Summer: I feel like it was definitely also a comment on this idea that everyone wants to have access to a certain type of blackness, and the magic that is blackness. So from a 2018 perspective, everyone wants access to this vibration that we have. You rarely see vibranium in the movie in its physical form. Ruth: It makes you think that it’s this state of mind or state of culture that other people want to attain. That story is central to the power of blackness in the movie. Summer: There's this way that the film frames Wakanda as the world sees it, as this very poor country. Outsiders think its magic has been removed so they aren't interested in it. But Wakandans have created this virtual façade to hide underneath, and in reality their society is really technologically advanced. They have their magic there without having it be on everyone else's radar. It’s this idea that black magic has to be almost kept a secret. Ruth: Right. Secrets drive many points of the movie. The idea of power being secretive, and why would you be secretive about something like the self-sustaining empire that you have in Wakanda? One reason is Wakanda potentially being exploited by whom they call colonizers. They openly refer to white folks in the movie as colonizers. So being really explicit about why you protect something -- that was interesting to me. Sometimes when you make what you're protecting a material, it's easier to talk about colonizers [in terms of] mining, and a natural resource being exploited rather than people. It’s this idea that black magic has to be almost kept a secret. Summer: That gets into the conversation about: who is this movie for? I don't think you'd really need to explain to black people that we've been treated as commodity and that people identify us as a commodity. To remove that from the body and take it into this mineral helps other people understand the way they interact with black bodies. Ruth: For sure. So yeah, who is this movie for? I think there's a lot to be said. There's definitely cues that are for black folks that I think that some people will not understand. And then I have to remember this is an international Marvel film. I think it is for a wider audience than just black people -- at this budget level, at this star power. Should we talk more about what it means that this movie is for everyone? Summer: So the black comic book nerd in me is so excited that it’s not just one scene with Storm in X-Men; it’s a whole two-hour plot with black characters. But at the same time, I had a hard time resonating with the film and seeing myself in the film. 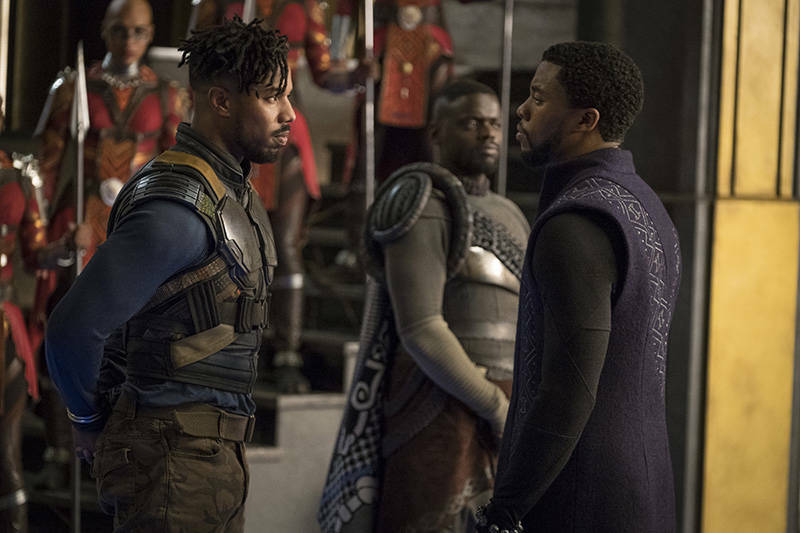 I think we should get into the dichotomy the film sets up by vilifying this black American character, Erik Killmonger, played by Michael B. Jordan, and this almost mythological, African, black identity that the film has created. Ruth: For an American audience and black American people, Africa can represent a lot of different things. I think it can look like a question for a lot of people, like ‘I don't know where I'm from in Africa.’ Obviously that is a traumatic question to ask, because of the history of slavery. But I think you’re right, in the dichotomy of black Americans and Wakandans -- black Africans -- and the relationship they have in this movie, I think the American side is very simplified in the form of one character, that being Erik. Wakanda represents a black totality. Your enemies are black. Your leadership is black. Your warriors are black. Your queen is black. Everyone. I think that that kind of black totality can be jarring for a person who's from America in some ways, having to figure out unity beyond race. That's a huge difference between the setting of Wakanda and of Erik's character who grew up in this place where there was no black totality; instead, there's black oppression. That translated well in the movie, where I don't think the main character took up a lot of space... Women took up so much more space than him. Summer: Where there is a direct antagonist, and you know what the antagonist looks like and sounds like because they've pushed you out. That's something I like about the film, that everyone is black so you have to create these very nuanced forms, and a spectrum of blackness that’s more about ideology and values instead of bodies. Ruth: The movie does wander into themes of black diaspora -- the guilt of immigrating or leaving behind folk, the desire to be accepted but also face a geographical and cultural separation. In this case, Wakanda is utopia and African nations' current post-colonial struggles are totally absent. I do wish there was more elaboration on that, especially on the Wakanda side beyond the royal family, who are the only Africans we get to know well. What else about the story stood out to you? Summer: Not having the Black Panther, T’Challa, as the driving force of the film. I think what I really admire about him as a comic book character is that he’s this very silent warrior that's very dominant within his space, but doesn't create this hierarchy. That translated well in the movie, where I don't think the main character took up a lot of space. He wasn't this huge, brooding, masculine, "I'm king and this is my place. You're my woman." There's not a lot of binaries. Women took up so much more space than him. Ruth: Absolutely. And there are different kinds of women. To see strong black women disagreeing about certain things or coming together and having entire action sequences that were just about them, without T’Challa, was pretty tight. Summer: I liked that none of them were tied down to these positions or roles of being a girlfriend, a wife, or a queen, or anything like that. Even Angela Bassett's character, the removal of the father in their nuclear family was so key. It allowed her to be even more ethereal in that aspect -- to not have her role be so directly tied to a king's role, or her husband’s position or his politics. You took a lot more of an emotional investment in her character. Ruth: Let's talk about the visuals. 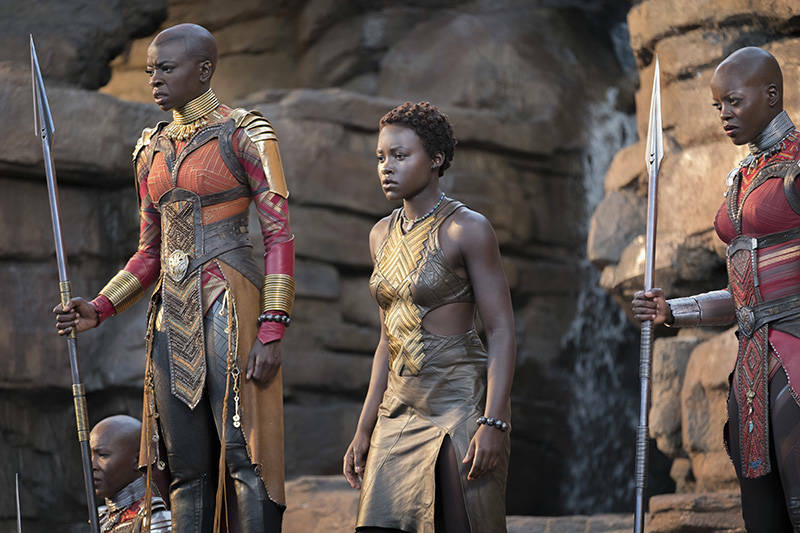 Wakanda borders East African nations like Kenya, Tanzania, and Ethiopia. 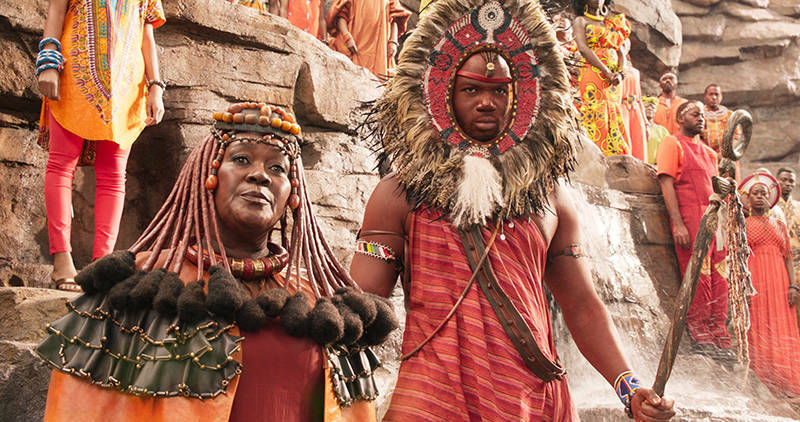 So the film has clothes from this part of Africa, jewelry from this other part. That was reflected in the accents as well, being vaguely African and not really of a place. In some ways, that pan-African aesthetic is a strange proposition to give to the world about Africa, because it’s unspecific. It kind of paints a picture of Africa with a really broad brush stroke and I’m not sure that’s any different from all the brush strokes that have painted Africa in film. That concerned me a bit. I think it’s a great way of talking about black masculinity, where it doesn’t have to be this very loud, aggressive, impactful thing. Summer: It’s interesting to see how a black American made a film about Africa and then have this idea of Africa be really watered-down. Ruth: And that idea of Africa being very American in many ways, and what does that mean for actual African countries and actual pan-African theory and action? I have some conflict about that as an Ethiopian immigrant. I’m not sure that unity necessarily translates as an aesthetic. Summer: I think we should talk a little bit about the Black Panther suit and what that even means. The Black Panther, maybe a quarter way through the film, obtains a new suit. This suit basically allows people to hit him and throw things at him, have all this impact. Instead of it hurting his body it's then inflicted on everyone around him who he decides to push all that negative energy towards. I think it's a great way of talking about black masculinity, where it doesn't have to be this very loud, aggressive, impactful thing that shakes and earthquakes everyone. And instead when negative things are being thrown at you, it's being able to sit with it, let it build, and then process it in a way that's very directional and very intentional. Ruth: Yeah, that was really beautiful. The suit was designed by a woman, his sister, which is pretty awesome. The fact that it absorbs impact and then it processes that impact and he has the power to direct that impact towards somebody else. That’s of course just filled with a lot of messaging. Summer: I'd love to talk about his sister more. His sister is a very interesting character in the film. She uses, and I think it's this topic we were talking about earlier, technology as magic. Ruth: Or that she's saying that magic is in fact technology. Summer: Yes. Magic is in fact technology, and as black people we have access to that. She debunks this idea that technology is something that we have to be afraid of or that we can't quite understand because it's complicated. She makes it a very accessible thing. When you see any "tech person," whether it’s in a comic book film or whatever, they're very inaccessible. They're very annoying. They use very limited rhetoric. She builds technology using the values of Wakanda, of not striking first. Of assessing, of acting in a calculated way. The way a Black Panther would. Summer: Yes. Doesn't make eye contact with you. Can't communicate unless it's in these very technological terms. And here she is, super confident, very cunning, very funny, very witty, and allows you to feel comfortable with this idea of magic as technology. I think there's something beautiful in that. Ruth: Yeah. There's a confrontation between old-guard ideas in Wakanda about what tradition looks like with technology. There's some conflict presented in the movie, and she presents the point of view of using technology for good. She builds technology using the values of Wakanda, of not striking first. Of assessing, of acting in a calculated way. The way a Black Panther would. Right? I like the idea of building technology with values. Ruth: Yeah, ethical tech. Who would've thunk? I guess we should talk about Afrofuturism a bit. Mixing technology, magic, mysticism, and imagining utopia using all those things is an interesting thing. We all know Africa is resource-rich. Many countries in Africa that have resources have been destabilized by colonialism or their governments have been very corrupt, historically speaking. To think that if you were not colonized, if you were not occupied, you would use those resources that you have to build utopia, to build strength, and to thrive — that's a really interesting idea. Summer: Yeah. And that you thrive only with the people in your community. It very much speaks back to an Oakland mindset where everything is an in-house, small, community thing. 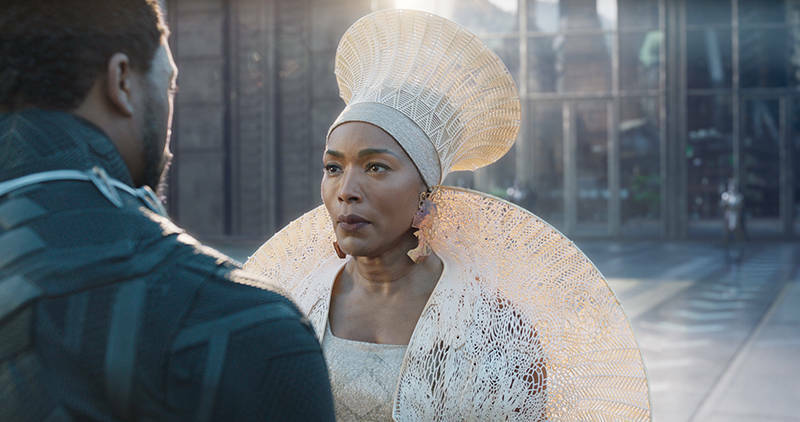 That theme of Oakland activism could’ve been strengthened if Coogler had given us details about Erik Killmonger’s mom. Ruth: It was just one of those plot holes that I wished wasn't shaped like a black woman. The film can't do everything in two hours, but just tell me more. Tell me something. Summer: If his father met her in Oakland, she's an Oakland native. I’m hoping that this will open a door. I think it will. I think it has. Ruth: I know he could've tied it to a whole history of black activism in Oakland. Still, it made me happy that the film opens in Oakland and features songs from Oakland. There was a song by Too Short and a song from Sacramento rapper Mozzy, and he definitely evokes that mobb music sound that I think is very Oakland. The fact that the world will get to hear from us -- it's kind of emotional for me. Ruth: Well, a few hours after the movie, how are you feeling about it? Summer: I was so hyped during the film. I for sure cried twice. Summer: I don't know why. I was like, "Why am I wiping my face right now? I'm so in this world." Ruth: I mean, we were transported to Wakanda. We joked about it before, but we really were. Summer: I'm hoping that this will open a door. I think it will. I think it has. I think Black Panther in general has opened a lot of doors for black filmmakers to the more mystical, and to be a little more weird. I'm ready to see more of that.